In collaboration with design and staging artist, Kim Baskind, Domicile partnered in this home renovation. The objective was to create a residence where interior spaces would meld without obvious or distinct boundaries. 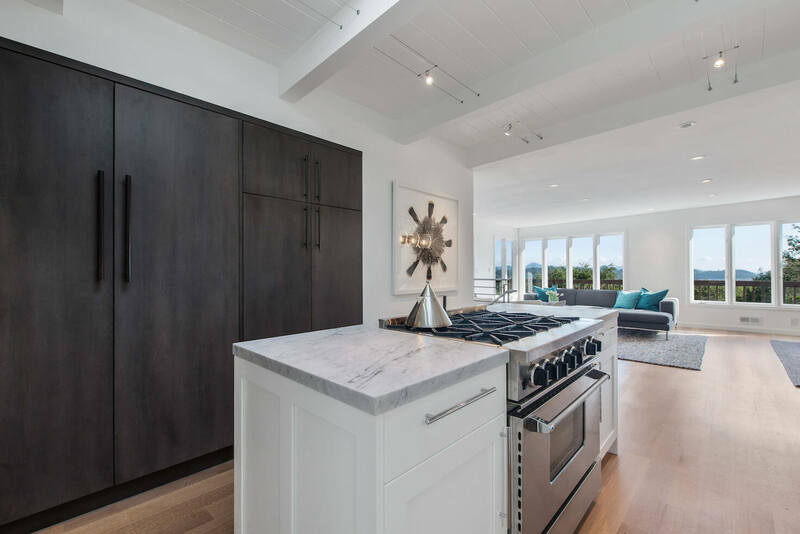 A number of the existing, interior walls were removed with the end result of an open floorplan that required the inclusion of an island kitchen design. 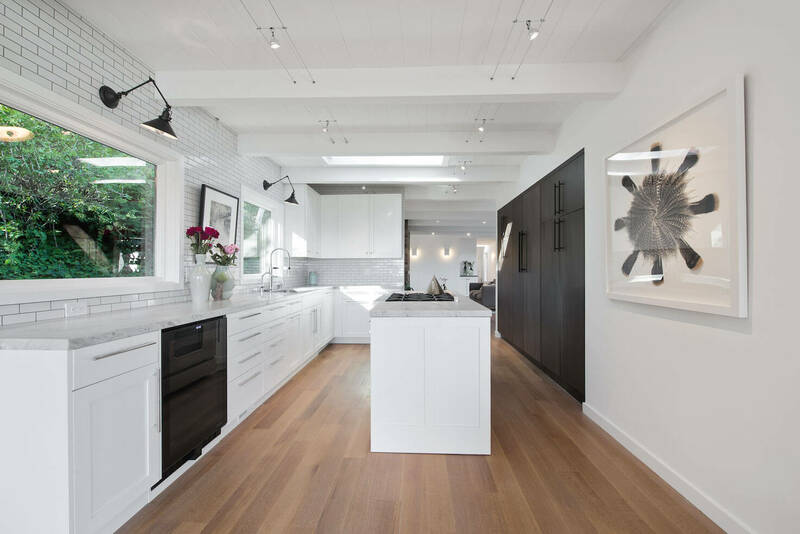 Although it may appear to be just another simple kitchen design, the kitchen’s layout needed to respect the primary objective of the remodel, and remain open and without obstruction to the adjacent rooms. 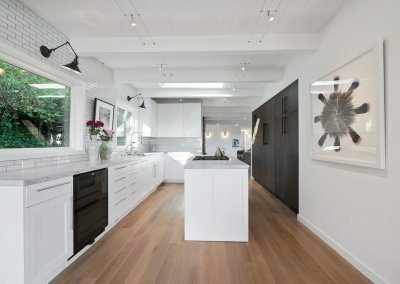 Cabinetry rather than walls define this contemporary kitchen. 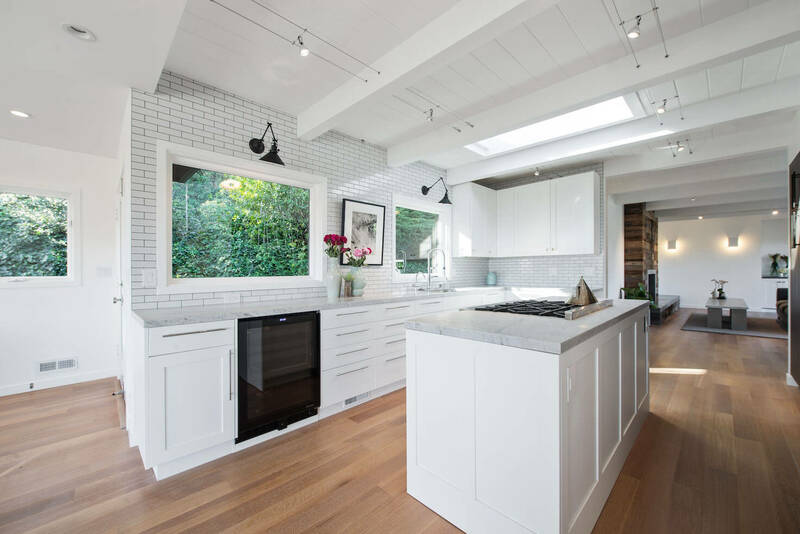 A combination of modern and traditional cabinet styles as well as two distinct finishes are a large part of the design’s success. 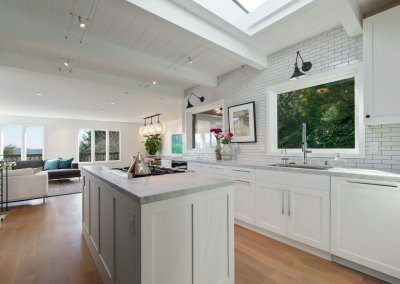 An island was essential for this kitchen layout to be functional, and provides a spacious countertop within close proximity to the refrigerator and pantry. Both are hidden behind large panel doors stained in a slate finish. The kitchen’s countertops are honed ‘Carrera’ marble. 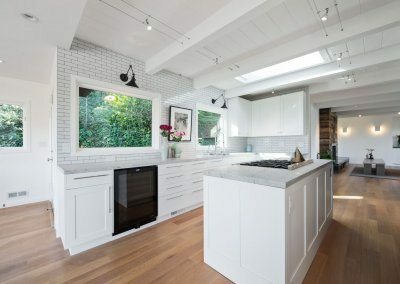 The backsplash tiles are white subway taken up the wall and to the ceiling in a brick pattern. 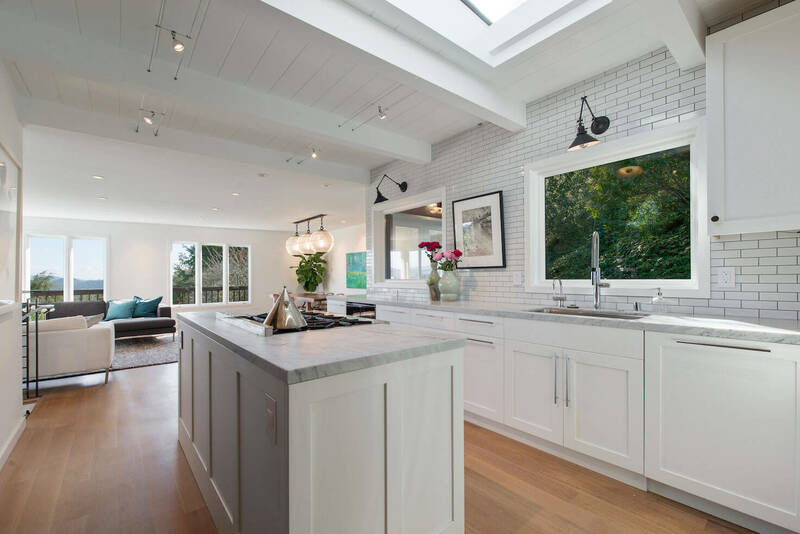 Lighting suspended on wires adds to the design’s relaxed, contemporary style.